Since the long-awaited release of French alternative rock extraordinaire Phoenix’s new album Bankrupt! a few weeks back, I’ve been waiting to share it but haven’t really gotten around to it. Having it debut on this blog in the form of a RAC mix could not be any more apt. This being the third Phoenix mix that I’ve heard from them (1901 & Armistice) I’m sure they could not be more qualified. I’m not gonna lie I was excited as hell to hear the new album. I’m sure you’ve already heard this a million times and it pretty much goes without saying; but of course it didn’t, or should I say couldn’t,match up to the legendary Wolfgang Amadeus Phoenix by a long shot. It’s definitely still great album though. As a bonus, I think it may be just the deluxe version, also includes a second CD with an hour long track titled The Bankrupt! Diaries. It contains a whopping 71 sketches from the recording sessions of the studio album. Previously unreleased I suppose, so yea, that’s pretty much a mandatory listen! My favorite tracks other than the previously released and arguably most catchy single of the album Entertainment. would be Bourgeois, followed by Chloroform and Trying To Be Cool. Their style remains pretty consistent throughout the album, lighthearted, fast paced with a twinge of oriental but as I’m sure most will realize much less dance-ready than what I’d expected. Their sound is obviously still confident and will without a doubt be massively appealing to the mainstream. In a nutshell, you’re gonna rotate through these 10 tracks for the next week. Okay enough talk, Check out Bankrupt! in its entirety at last.fm here. I’m sure by now we’re all sorts of familiar with RAC’s style. Making mixes of music that do not overpower, but compliment and recreate with uplifting electronic elements. I think that’s exactly the extra push this track needed. The mix is up for free download so grab it at RAC’s soundcloud here. RAC’s been extra prolific of late with this mix being his 3rd release this week. If you aren’t stalking them yet, go show some love at the webpage here and spend the rest of the day listening to all the mixes. It’s worth it. No this is not another remix of Lisztomania or another cover of 1901 (Not that we could ever have enough of those). 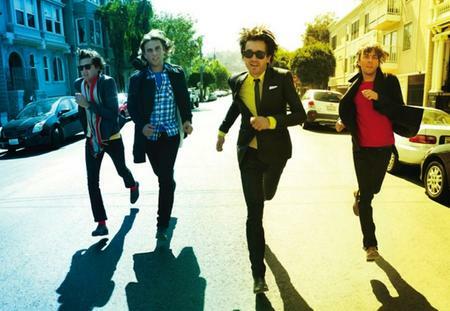 After their monster of an album Wolfgang Amadeus Phoenix released in 2009, the four piece alternative rock and indie pop band disappeared in a fog of success. After a four year wait, Phoenix finally releases a new track. And despite all the build-up, it doesn’t disappoint. It’s exactly what you’d expect from them. It’s as if they’ve never been away at all. The new track’s just as upbeat and catchy as they’ve always been. I’ve been completely obsessed about these guys since United back in 2000 and they’ve prettty much opened my eyes to indie pop. Follow them at their website here. Below is the new track and just a few of my other favorite tracks, covers and mixes thrown in for good measure.